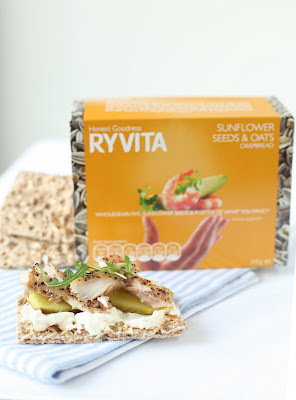 I was invited to have lunch at Terroirs for the launch of new Ryvita crackers. I went, seeing as Valentine Warner had created some new seasonal toppings for the crisp bread. I was joined by the beautiful Gastrogeek and met the wonderful Nigel Barden - who took great pride in showing off his newly sliced off thumb. I got the great honour of seeing the photos off his phone. Anyhow, I had some amazing food made by Valentine and Nigel and I began my new love affair with Ryvita crackers - they don't actually taste like cardboard anymore! So I thought I would share the recipes as I loved what we had. Valentine Warner's steak tartare was a dream as was Nigel Barden's smoked mackerel over cream cheese. Great for picnics or lunches for the coming summer months. Chop the fillet steak very finely with a knife. Do not chop it in a blender as the meat will be made too smooth. 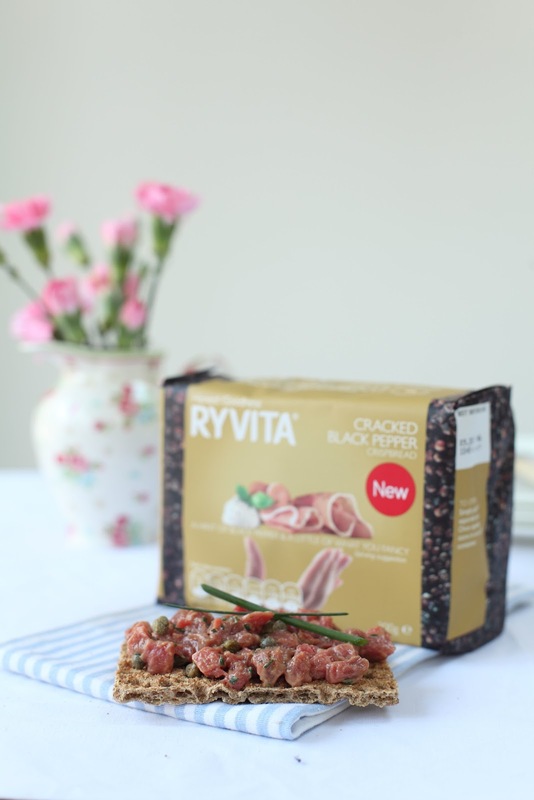 Put the minced beef in a bowl then add all the remaining ingredients and mix together well with a fork. Taste the mix and adjust the seasoning with a little more salt or a drop of vinegar should you so wish. Divide in four and neatly and evenly press over the crispbread. Serve immediately. ‘The Sunflower Seeds and Oats give this combination a real feel good, wholesome crunch. The dill isn’t essential but certainly enriches the flavour of the topping'.